The Venezuelan government has published a full-page ad in the New York Times this week arguing that the mass, arbitrary deportation of Colombians from its border territories was necessary for national security interests. 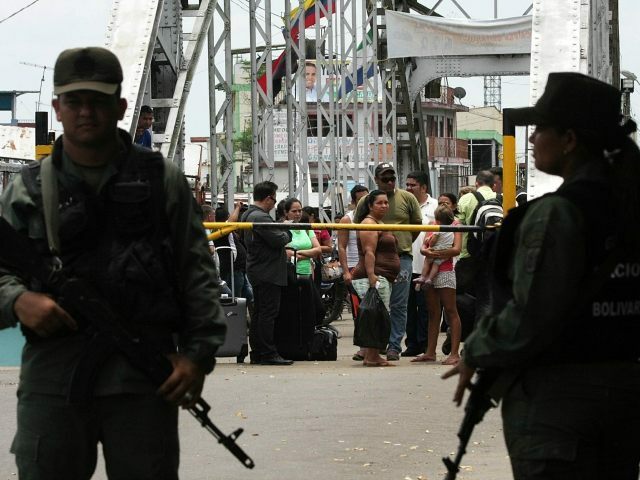 The ad, titled “The Truth About the Venezuela-Colombia Border Situation,” argues that a “fifty-year” struggle between the Colombian government and paramilitary groups has created a dangerous situation for Venezuelans living close to the border, and that black-market trade has become a full industry the Venezuelan government is determined to shut down. In addition to blaming “paramilitaries” for the border crisis– all while not addressing the socialist Venezuelan government’s alleged ties to Marxist terrorist groups like the Revolutionary Armed Forces of Colombia (FARC)– the ad argues that Colombia has participated in economic measures “which seek to diminish the value of the Venezuelan bolívar.” The ad alleges that one can make a 40% profit converting 100 bolívars into Colombian pesos. Much like the Venezuelan government’s disregard for its role in sustaining leftist terror groups, the ad fails to mention the failure of President Nicolás Maduro’s government to create a free and stable market, in large part due to heavy price controls and socialist rations that have ravaged the economy. The Venezuelan government did not address this violence in the New York Times.